If you’re running Cisco IOS on all you devices then you can use CDP to see what’s directly connected, (unless you are on a Cisco firewall, but I did say IOS devices). But just about every other vendor uses LLDP (Link Layer Discovery Protocol,) to do the same job. So how do you discover what ports you are plugged into on them, or what they are? Well in most cases, (depending on your code) your devices also support LLDP, it’s just disabled by default. You simply turn it on with an ‘lldp run’ command. Now I see my neighbours, (yes that is how it’s spelt I’m English!) 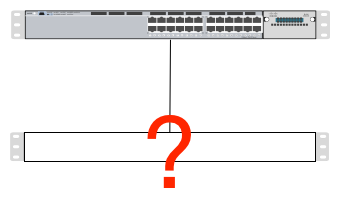 In my example below the neighbour is a Dell Switch.